Short-version: Now that we won a ton of elections(! ), we're launching two new, big guides outlining the Indivisible strategy for the next two years. Indivisible on Offense demystifies what the new Democratic House Majority means, and how you can use it to make your voice heard. Our new state guide describes how to take the Indivisible philosophy and push for state-level policy change with your state representatives. Read our note below for how we got here. Check out the video about Indivisible on TRM. Check out what is in store on the road to 2020. 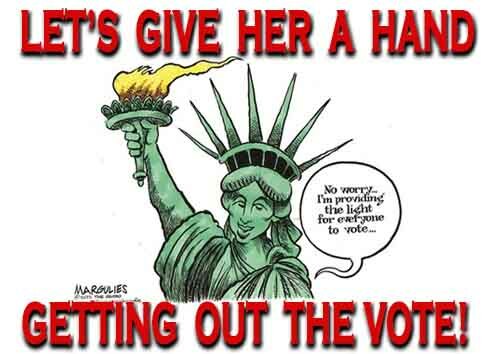 Are you outraged that Republicans are cheating to win elections across the country? Be prepared. Be ready to counter any harassment, intimidation or irregularities. Have your phone ready to video and call. Take people’s names and do not be deterred from voting. The Department of the Interior has sent National Archives & Records Administration (NARA) a massive "Request for Records Disposition Authority," i.e., permission to destroy old records. *(1) Email to request.schedule@nara.gov with a Public Comment. Deadline: November 23, 2018*. _Sample Script_: Sec'y Zinke has asked the National Archives for a massive destruction of records that normally are kept for historical purposes. This is an unusual and troubling request. I am asking you to investigate this request and to stop the destruction of important and valuable records. The National Archives ID number is DAA-0048-2015-0003. Is John Burton the most dangerous Democrat in the United States? John Burton hopes an army of dirt diggers can deliver an October surprise for Democrats. Check out this interesting story and new opportunity to get involved in American politics! 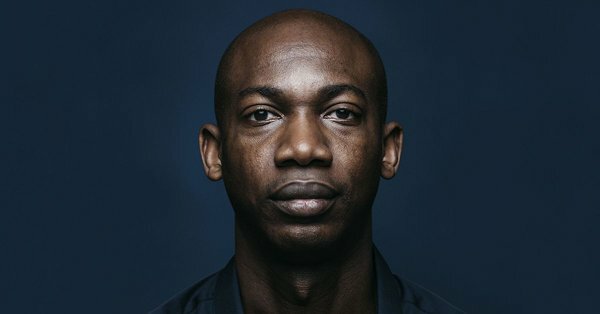 The former Obama operative who built a new anti-Republican attack machine. "I am mad about Brett also... but for a different reason!" Join others who are as mad as you & want to change things on election day! Click the link or the button above to attend, or click the button below to donate so we can buy stamps! Now is the time for all good people to come to the aid of their country! Aloha-filled phone-text-postcard Get Out The Vote event! Welcome to the Indivisible Hawaii group. Our mission is to STAND Indivisible against Trump’s racist, corrupt, and authoritarian agenda by holding Hawaii’s Congressional delegation accountable through political activism in an effort to preserve the institutions of our democracy. 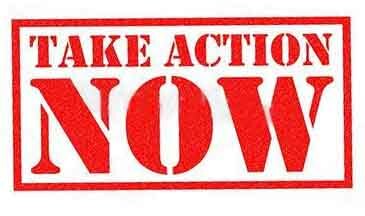 Indivisible Hawaii is committed to a single goal; to improve the quality of life for all citizens through political engagement and advocacy. Explore our website to learn more about what we are doing to bring about change and safeguard our democracy. As for this weekend, we’ve got you covered. 1. Sign up for an upcoming phone bank to #SaveSCOTUS and/or GOTV for IndivisiCandidates! We’re hosting phone banks every single night between now and the election. Sign up for a shift (or two or three!) right now at indivisible.org/phonebank. A great option is the new text banking tool by the Jamie McLeod-Skinner campaign in Oregon’s 2nd Congressional district. Text on your own time! Send 50 text messages in 2 mins. The system does it automatically, and they do NOT see your number. This came to me when I offered to write postcards for a candidate and found they had hit their target of 25000 postcards. Thank you for your interest. We are not taking on new postcard captains because we are more and more involved in midterms activities ourselves. The fact is that different people will respond to different tactics and repeated outreach in various ways is key. Given that its effectiveness is unclear, postcard writing can not be the only voter outreach. If you aren’t already, please, make sure to get engaged in additional midterms activities like canvassing, phone and text banking that can be just as FUN! A great option is the new text banking tool by the Jamie McLeod-Skinner campaign. Text on your own time! Send 50 text messages in 2 mins. The system does it automatically, and they do NOT see your number. and posts, so tell your friends! 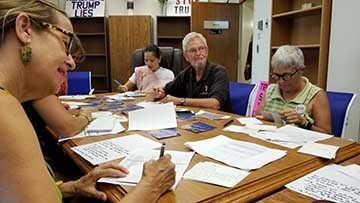 Indivisible Hawaii is holding a phone-text-post card-bank for the candidates in tight races across the country. Come and pitch in or bring a candidate of your choice. A slim amount of refreshments will be provided. Join and spread the aloha. DONATE HERE to support the media banking if you can't make it there! Where: The Varsity building 1110 University Ave, Honolulu, HI 96826 Street parking or parking in the Makai lot $4 all day. How: We will have teammates arrive and orientate to the three activities (phone, text, post card) get registered if necessary and start doing it. We will have a discussion after on how we did and what we can do better in the future. because we will be phone banking more until November 6th! And to every survivor who’s reading this email: We believe you. We stand with you. You deserve so much better than this. Today is a deeply painful day. All 11 Republican men on the Judiciary Committee just voted to move Brett Kavanaugh’s nomination forward with a positive recommendation. Senate Republicans voted to advance Kavanaugh's nomination in spite of multiple, credible allegations of sexual assault and misconduct against him. In spite of the brave -- and devastating -- testimony of Dr. Christine Blasey Ford. 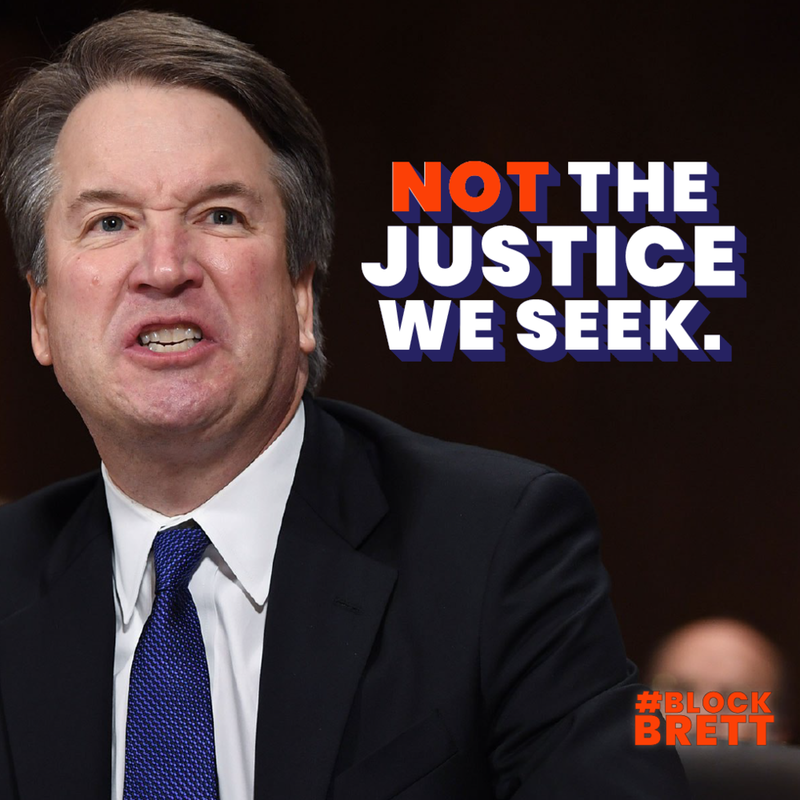 In spite of his own testimony, which was brimming with rage and entitlement and full of obvious lies. Sexual assault is one of the most underreported crimes in our country, and this week is a painful demonstration of why. When survivors like Ford, Ramirez, and Swetnick come forward, they endure intense public scrutiny, shaming, and threats -- as we have seen happen this week. Senate Republicans have shown over and over again that they're not interested in the truth. They just want, in the words of Mitch McConnell, to "plow right through" and confirm Kavanaugh, no matter what he’s done. Trump and Senate Republicans don’t care about what’s right. They only care about power. So let’s show them what the power of a nation of outraged women looks like. First, if you haven’t called your Senators yet, DO IT. This is not a done deal. Multiple Republicans - and Democrats are still on the fence. And in spite of voting to move the nomination forward, Senator Jeff Flake (R-AZ) has called for the full floor vote on Kavanaugh's nomination to be delayed to allow an FBI investigation into the accusations. It's now being reported that Senators Joe Manchin (D-WV) and Lisa Murkowski (R-AK) are joining Flake's call for a postponement until an investigation is complete. These Senators will only have an impact if they say they're voting no if their demands aren't met. But let's be clear: Mitch McConnell is the one person who controls the floor vote. And the only way, as always, that this vote gets delayed is if McConnell doesn't have the votes. The full Senate could vote very soon. Your Senators need to hear from you. Second, we need to make Republicans regret this at the ballot box.We need to take back the Senate so that Chuck Grassley loses his committee chairmanship, Mitch McConnell loses his speakership, and a hearing like yesterday’s can never happen again. We need to take away this Administration’s power to nominate abusers and extremists to our highest court. If you can, help fund calls to #SaveSCOTUS by making a donation here. The last week has been incredibly hard for so many of us who see echoes of our own experiences in what’s happening in Washington. Please take care of yourself, and if you need to step back, take the time that you need to heal -- that is the most important thing that you can do. And when you’re ready to channel your outrage into action -- into stopping this from ever, ever happening again -- we’re here and we’re ready to fight. We thank Ford, Ramirez, and Swetnick for the tremendous risk they took in telling their stories. We recognize the legacy of Anita Hill in coming forward at great personal sacrifice nearly thirty years ago. We’ll continue to stand in solidarity with all survivors. And we will continue to fight the radical reshaping of our Supreme Court with abusers and right wing extremists in every way we can. They’ll hear from us today. And they’ll hear from us at the ballot box on November 6th. 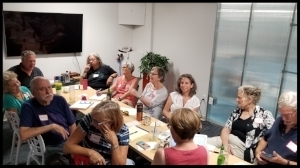 Last Thursday 20 Sept, Indivisible Hawaii invited a group of progressives to come together at Impact Hub in Kaka’ako. We had a good meeting on what issues to focus on and what to do to help the coming blue wave wash away the republican majority. Between now and the election on 6 November, Indivisible Hawaii will be working to influence the voters in tight races and swing districts to vote in the midterm. Stay tuned as we get reved up to stop the Trump agenda. Individual Hawaii is holding a phone-text-post card-bank for the candidates in tight races across the country. Come and pitch in or bring a candidate of your choice. A slim amount of refreshments will be provided. Join and spread the aloha. Sign up with one or more of the groups to get started. indivisible Guide ActionID. Create an account and begin from there. Hustle app. Download the app to get started. We'll get the details. To contact Indivisible Hawaii, click on the envelope icon above.